Elguji would like to announce that their TaskJam XPages application is now available in the OpenNTF GPL V3 catalog. 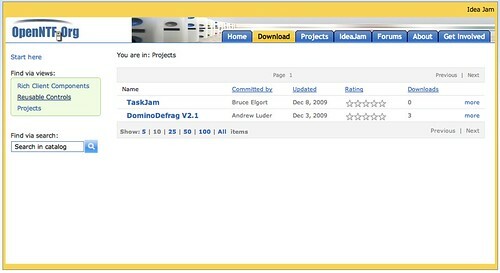 TaskJam is a simple task management application for IBM Lotus Domino 8.5/8.5.1. It's also probably the most downloaded XPages template for learning XPages development in the Lotus-verse. Many thanks to Declan Lynch (OpenNTF Committer) and Peter Tanner (OpenNTF IP Manager) for their assistance. The entire process took less than 48 hours. If you would like assistance on getting your application approved please let us know.